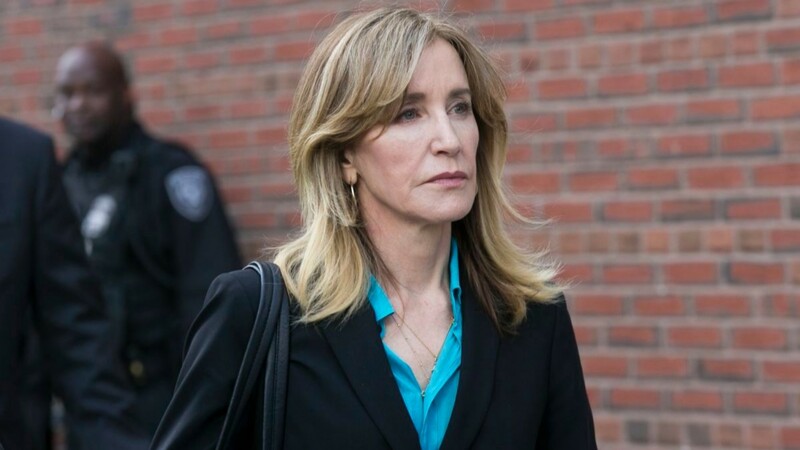 Not one week ago, actor Felicity Huffman appeared in court in Boston, Massachusetts to hear her charges for her alleged involvement in the college admissions scam case, which she was arrested for in March. On Monday, it was reported that Huffman is expected to plead guilty for her alleged involvement, making for a rapid advancement in this case’s proceedings. Here’s what we know so far. Per Variety’s report, Huffman and a dozen other parents are expected to plead guilty, as noted in a statement from the U.S. Attorney General’s office released on Monday. It’s unclear if fellow indicted celebrities Lori Loughlin and her husband, Mossimo Giannulli, will be pleading guilty as well since Variety did not name them in their report. At this time, Huffman has been charged with one count of conspiracy to commit mail fraud. In regards to the case, a criminal complaint states that Huffman paid $15,000 to admissions consultant William Singer so that her eldest daughter’s SAT scores could be artificially boosted to help increase her odds of getting into an elite college. As reported by Variety, “Huffman arranged to have her daughter take the SAT at the West Hollywood Test Center, which Singer controlled. Huffman was also able to obtain extra time for her daughter to take the test. Singer admitted to hiring a proctor to correct answers on students’ exams. Huffman’s daughter got a 1420 on the test, a 400 point improvement on her PSAT result.” Although he is not among those facing charges in this case, it’s believed Huffman’s husband, actor William H. Macy, knew of and agreed to this plan to boost their daughter’s SAT scores illegally. Huffman is one of 33 people being charged in this case. At this time, it is unclear what kind of sentence Huffman faces based on her entrance of a guilty plea. Since her arrest in March, Huffman has not spoken publicly about the case or her alleged involvement in it.